Apart from consumables such as food and to a lesser degree clothing, I do not have a need to buy a great deal of stuff. Household items sometimes need to be replaced and I think this purchase falls into that category. 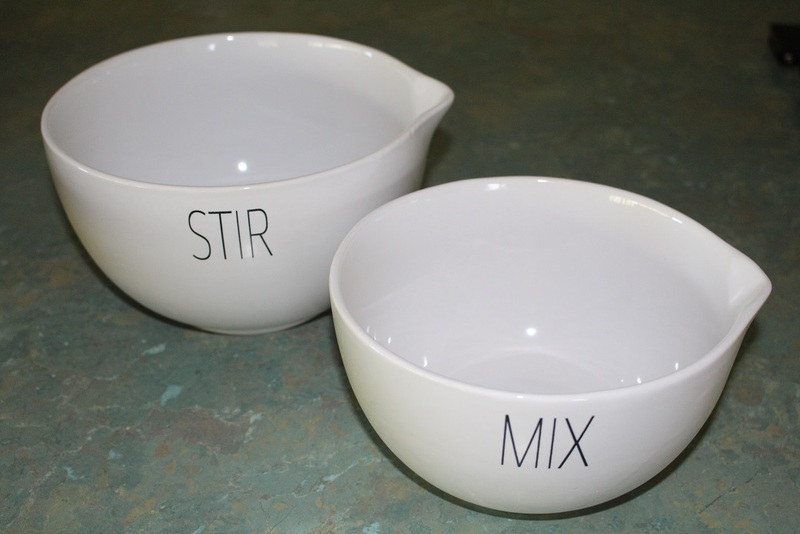 I bought a set of two china mixing bowls from Aldi for the princely sum of $10. It bothers me a bit because how something can be produced, transported across the globe and sold at a profit defies logic. Someone is losing out and I suspect it is the worker. This is a good reason to minimise your purchases, particularly of cheap, imported products. They are to replace these two bowls which have seen better days. The white bowl is a Tupperware one which came to me from my grandmother about 37 years ago. The surface is crazed and discoloured. 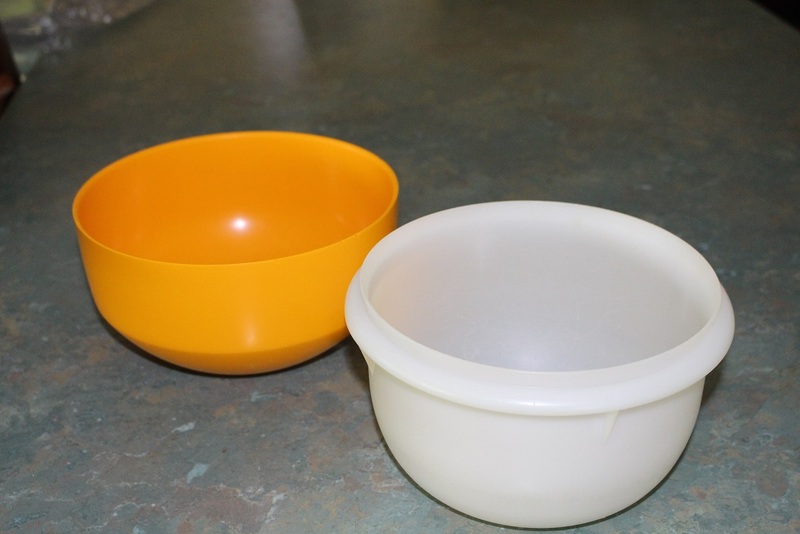 The yellow bowl (36 years old) is more of a salad bowl and not ideal for mixing and it has a crack in the surface which makes it impossible to clean properly. It is time for them both to go and make way for my shiny new bowls. I hope they stand the test of time as the others did. Yes, I am aware of the lifetime guarantee but it is also about getting rid of as much plastic ware as possible. It is still functional for someone should they choose to use it.